NEW YORK/ADDIS ABABA, 04 October 2016 – Children are more than twice as likely as adults to live in extreme poverty, according to a new analysis from the World Bank Group and UNICEF. Ending Extreme Poverty: A Focus on Children finds that in 2013 19.5 per cent of children in developing countries were living in households that survived on an average of US$1.90 a day or less per person, compared to just 9.2 per cent of adults. Globally, almost 385 million children were living in extreme poverty. Routinely measure child poverty at the national and subnational level and focus on children in national poverty reduction plans as part of efforts to end extreme poverty by 2030. Strengthen child-sensitive social protection systems, including cash transfer programs that directly help poor families to pay for food, health care, education and other services that protect children from the impact of poverty and improve their chances of breaking the cycle in their own lives. Prioritize investments in education, health, clean water, sanitation and infrastructure that benefit the poorest children, as well as those that help prevent people from falling back into poverty after setbacks like droughts, disease or economic instability. Shape policy decisions so that economic growth benefits the poorest children. UNICEF and the World Bank Group are working with partners to interrupt cycles of poverty and to promote early childhood development – with programs ranging from cash transfers, to nutrition, healthcare and education. 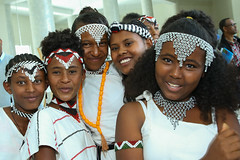 There are 13 million Ethiopian children who live in poor households, 2 million of whom live in extreme poverty. Children are more severely affected by poverty (32.4 per cent) and extreme poverty (5.2 per cent) than adults (29.6 per cent and 4.5 per cent, respectively). The poorest children are found in households whose head is employed in the informal sector. 13.1 per cent of these children live in extreme poverty. GAMBELLA, Ethiopia, 25 May 2016 – Eighteen years after he was kidnapped as a child by raiders, Paul Tok*, 19, came home to his native village of Dima to a warm welcome. In the long years of his captivity by the Murle tribesmen in neighbouring South Sudan, where he was attached to a local family, forced to learn the language and help raise their cattle and farm their land, he never forgot who he was. The Murle have long raided their neighbours for cattle and children. 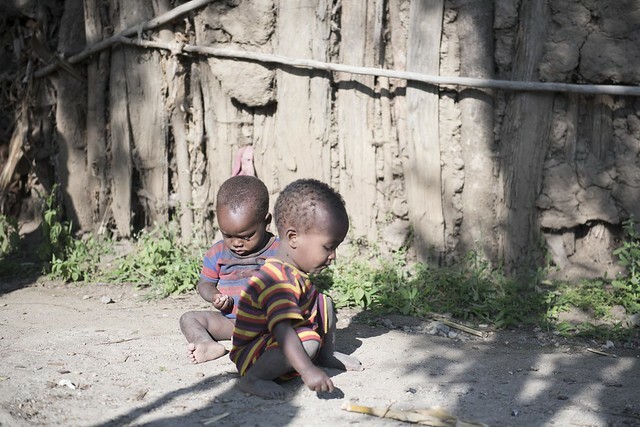 In the last decade, 50 children have been taken from the Anuak parts of Ethiopia in Gambella State in yearly raids. Those raids, however, sprang to international prominence when the Murle launched a massive cross border operation against 13 Nuer villages in mid-April, killing more than 200 people and carting off 146 children and thousands of cattle. As the Ethiopian Government works to release these children, the experience of others kidnapped by the Murle has come under renewed scrutiny. Paul and his older brother were kidnapped in 1997 in a violent attack on their village. His mother fought to keep her sons and was slashed with a knife that left her weak and she died of illness four years later. Her husband followed her into the grave two years afterwards following a prolonged period of depression. Paul would only find out about his parents death on his return years later. He and his brother were taken to the village of Lelot in South Sudan and attached to a family who already had 10 other children and was put to work. Paul said he never liked his life with the Murle. Paul and his brother were allowed to attend school and Paul studied up to 9th grade. When fighting wracked South Sudan as rival tribes battled each other in a civil war during the past few years, Paul decided to join the flow of refugees into Ethiopia and make his way back to Dima. 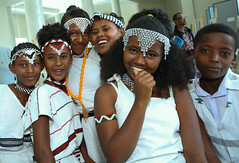 “I told them my story in Anuak language when I was in the camp. They were so happy and they hid me and gave me food and clothing. My aunt was looking for me tirelessly and she heard about my return and came to take me,” he said with pride. Though Paul is thrilled to be reunited with his family, he misses his brother who is still in South Sudan. “He is now in 11th grade in Juba and he wants to finish school. We would have come together. I don’t think he will waste a day to return after he finishes school,” Paul said. Paul is now receiving lots of affection from his own community. Along with his aunt and relatives, he gets support from the woreda (district) including clothing and school materials and has now re-enrolled. He still lives in fear, however, that the Murle will come back and take him away. “They know me as their child and I will be considered a traitor if found,” he said. There has been a steady increase in cross-border child abduction over the past decade. The civil war in South Sudan and the easy availability of weapons has exacerbated the rate of these abductions both in terms of the numbers of children abducted and adults killed each year. However, after the April 15 attack, the Ethiopian Government made a statement that the Ethiopian forces will follow the Murle armed men into their territories in South Sudan to rescue the abducted children. 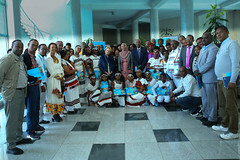 UNICEF is working in close collaboration with the Government of Ethiopia and partners on a response plan which includes reintegration, psychological support, basic health care and nutrition services as well as providing items such as tents for their accommodation and clothing for each child. 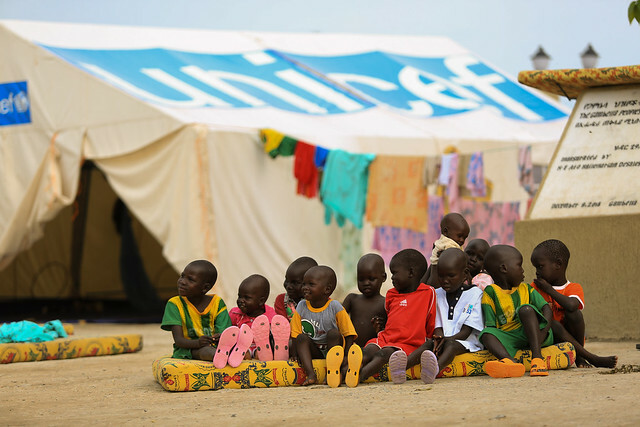 UNICEF has called for the children’s swift and unconditional return. After the reunification with his community, Paul wants to improve his Anuak since he has forgotten some words apart from what his brother taught him when they were children. He can now speak the Murle language fluently as well as a little Arabic. “I would like to become a teacher and teach my community,” he said. 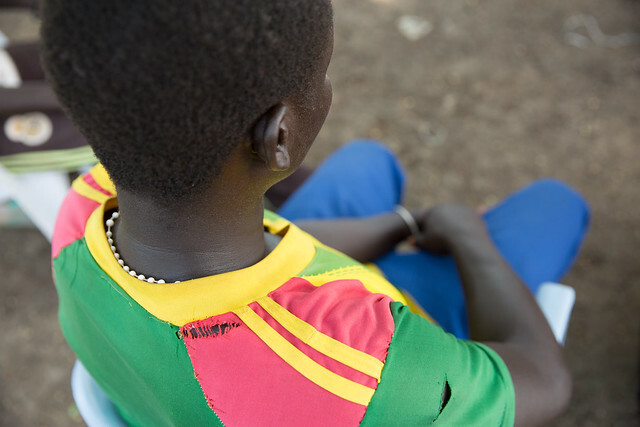 GAMBELLA, Ethiopia, 25 May 2016 – When the attack on the village came, 25-year-old Nyatayin Both held tightly to two of her children, but the raiders still managed to kidnap the two others amidst the panic and commotion. 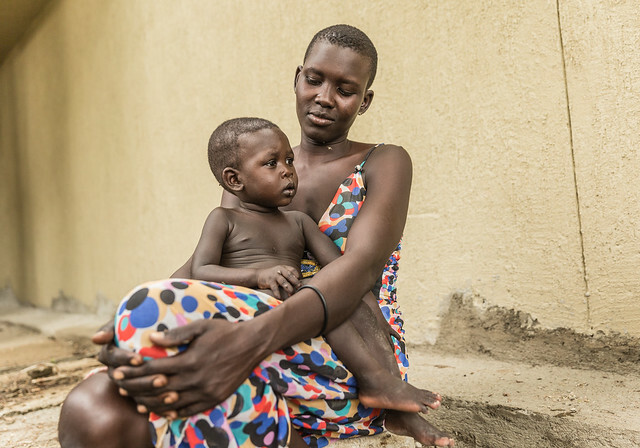 “I wish I’d had four hands to hold them and save all of my four children,” she recalled, describing the horrific day in mid-April in Ethiopia’s Gambella region when she lost her 9-year-old daughter and 4-year-old son. In a raid of unprecedented scale, some 200 people were killed and 146 children were taken by raiders from neighboring South Sudan, widely described as Murle tribesmen. The Ethiopian military and the local Gambella Government have been negotiating for their slow release ever since. For Nyatayin, it meant a miracle to see the return of her 9-year-old daughter Nyamuoch. It was a joy tempered by the fact that her other son was still out there and of course the death of so many relatives that day, including her husband. So far 91 children have been recovered. UNICEF is working closely with the Government of Ethiopia and partners on a response plan which includes reintegration, psychological support, basic health care and nutrition services as well as providing tents and clothing for each child. 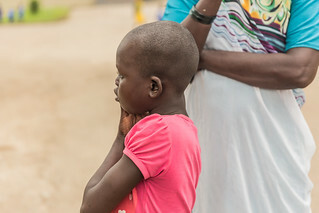 Currently, the children are being cared for at a two-storey guest house of the Gambella Regional Government, where Sarah Nyauony Deng is supervising their care. Nyamuoch recalls that terrible day she was taken from her village that began at dawn with the sound of shots. Working with the president’s office and the Bureau of Women and Children Affairs, UNICEF has drawn upon a detailed action plan for child protection, including identification, documentation, psycho-social first aid and family assessments to facilitate appropriate rehabilitation services during reunification of the children. “Currently, we are doing a needs assessment to mobilize resources for the abducted children and their families. Some of the children have lost one or both parents, some their cattle and some their huts as it was burned by the Murle,” said Ocher Ocher Obang of the Bureau of Women and Children’s Affairs in Gambella. In addition, many in the affected communities are afraid to return to their remote villages for fear of renewed attacks by the Murle. With the return of the rains, the displaced families need land to till, shelter to live in, as well as additional clothing and health care. As the Ethiopian and South Sudanese governments strengthen their efforts to recover the remaining abducted children, UNICEF calls for the children’s swift and unconditional return to their families. 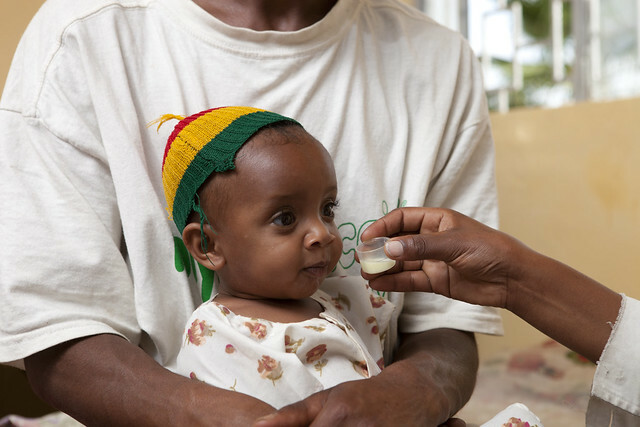 ADDIS ABABA, 21 March 2016 – The European Commission today announced a €3 million grant to UNICEF to improve the nutrition for severely malnourished children in the drought affected areas in Ethiopia. The EU funding aims to strengthen the current emergency response and reach an estimated 40,000 Severe Acute Malnutrition (SAM) children. It will help provide supplies (40,000 boxes of Ready-to-use Therapeutic Food (RUTF) and 19,700 packs of amoxicillin). The funds will also support one round of Extended Outreach Strategy (EOS) screening which provides biannual vitamin A supplementation and de-worming to children under 5 years of age. Screening for acute malnutrition for children and pregnant and lactating women will also be covered. “The El Niño phenomenon is impacting entire regions in Africa, notably Ethiopia. The EU support will help UNICEF provide life-saving assistance to the most vulnerable. It will help more than a million children suffering from malnutrition get treatment,” said Jean-Louis De Brouwer, Director of Operations in the European Commission’s Humanitarian and Civil Protection department (ECHO). 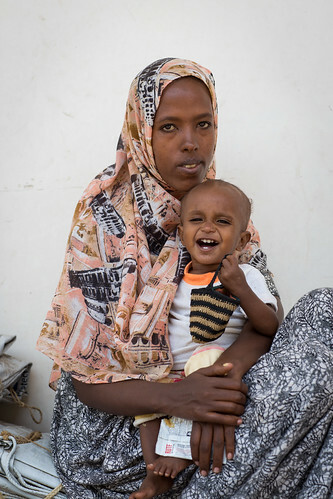 The EU funding targets close to half a million children under the age of five along with nearly 140 000 pregnant and lactating women in the Somali region. 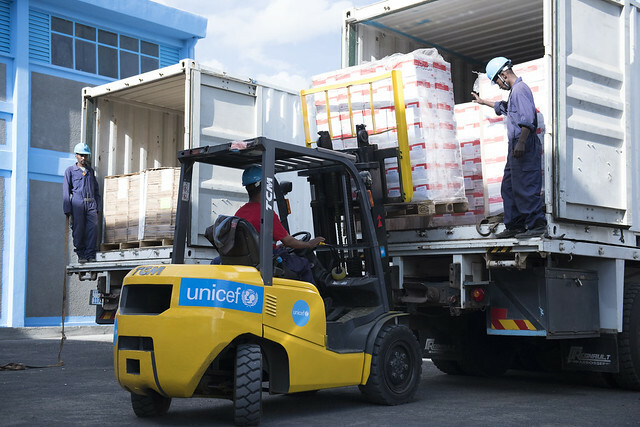 UNICEF, at the request of the Government, is responsible for the procurement of supplies for Severe Acute Malnutrition (SAM) management as a key input to the emergency nutrition responses throughout the country. It also provides technical and financial support to ensure programme quality and coverage. UNICEF is supporting the Government in responding to the emergency by scaling up and strengthening the treatment of children with severe acute malnutrition, increasing the intensity and frequency of screening of children and pregnant and lactating women, and ensuring key preventative nutrition services are provided to prevent excess morbidity and mortality. According to the revised Humanitarian Requirement Document (HRD), over 10.2 million people in need of food aid and estimated 435,000 in need of treatment for severe acute malnutrition by the end of 2016. 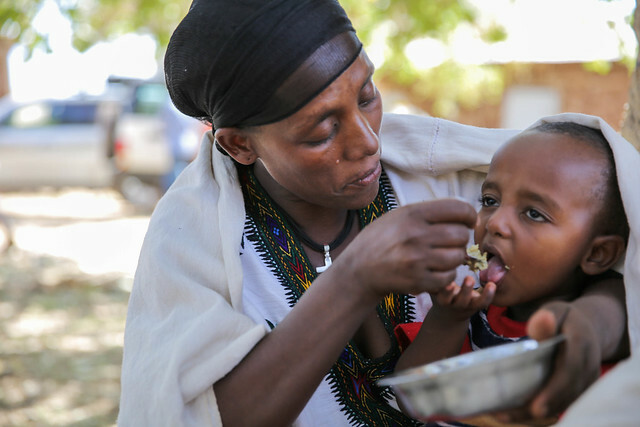 This has significantly devastated livelihoods and greatly compromised the health and wellbeing of children and women, through malnutrition and hygiene-related diseases across Ethiopia with six regions hit particularly hard.